For those of you who know me well, you will appreciate the irony. During my tenure as the executive director of GLAAD, I often found myself debating Jerry Falwell on national television. Your friendly neighborhood gay rights activist vs. one of the most powerful evangelical fundamentalist Baptist ministers in America. Believe it or not, we did have something in common, Mr Falwell and me: we were both deeply concerned about gay rights. In our own ways. Here’s one of his most famous quotes. How could he possibly have taught me a blessed thing (pun intended)? When Jerry Falwell appeared on national television (and he did so often… much too often if you ask me), he was a master. He understood that it was never a debate, regardless of who his “opponent” was. It was a monologue and his job was to keep it that way. I know from experience. One morning in 1999, I was booked on The CBS Morning Show after Falwell had raised a concern publicly that one of the Teletubbies might be gay. Yes, the Teletubbies — those colorful (and as far as I could tell completely asexual) stuffed characters on a morning children’s show. 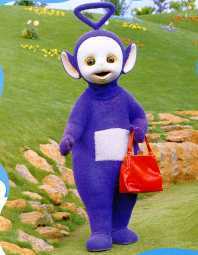 The evidence: Tinky Winky was purple, had a triangle on her/his (its?) head, and carried a purse. In a four-minute interview, I think I spoke for 1 minute and 25 seconds. Maybe. And I was the one in the studio sitting right next to the interviewer (always an advantage in an interview) (well, not always). Falwell came in via satellite no doubt from the studio he had built in his home in Lynchburg, VA. I got my clock cleaned but rather than focus on what I did so wrong, let’s focus on what he did so right because it’s here that we will find the important lessons. 1) Do not breathe at the end of each sentence. The best lesson of all. An anchor expects you to breathe at natural break points. So don’t. That way you continue to hold the floor. Breathe mid sentence and then barrel on to the next sentence giving no one the opportunity to interject or interrupt. 2) Show no anger. When you are right you don’t have to. And anger implies a certain weakness or defensiveness. 3) Talk over the host. Just continue to barrel through as if you don’t hear her. Make her really, really work to interrupt you. The anchor will always say “just 15 seconds” but pay absolutely no attention. Falwell never did. I like to think I scored some points that day but it wasn’t much of a contest. But as I listened to him bloviate for nearly 3 minutes without interruption, I decided it was time to learn from the master. And I pass these lessons along as a little gift. I’ve bloviated my way through many on camera interviews from that day forward. Here’s a recent interview clip. I was called upon to offer commentary on Mitt Romney’s convention speech. A master class in bloviation. The anchor works hard to encourage me to wrap it up. My kids told me she should know better. Have a look – I come in at 2:14 seconds on the video but it’s worth watching the first few by way of contrast.